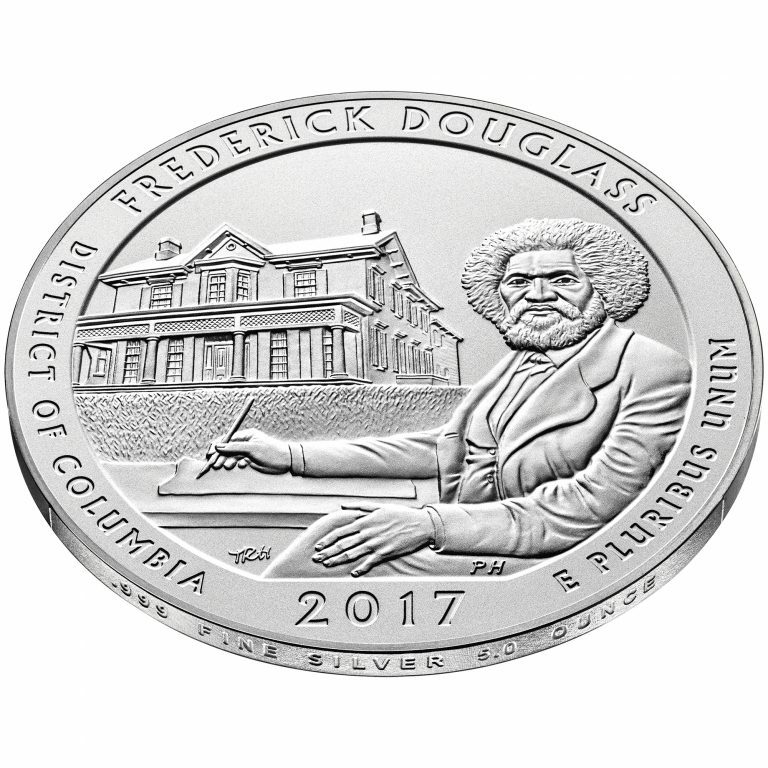 The Frederick Douglass National Historic Site was established in 1962 to preserve the home and legacy of Frederick Douglass, abolitionist, civil rights advocate, author, and statesman. Douglass lived in this home from 1877 until his death in 1895. 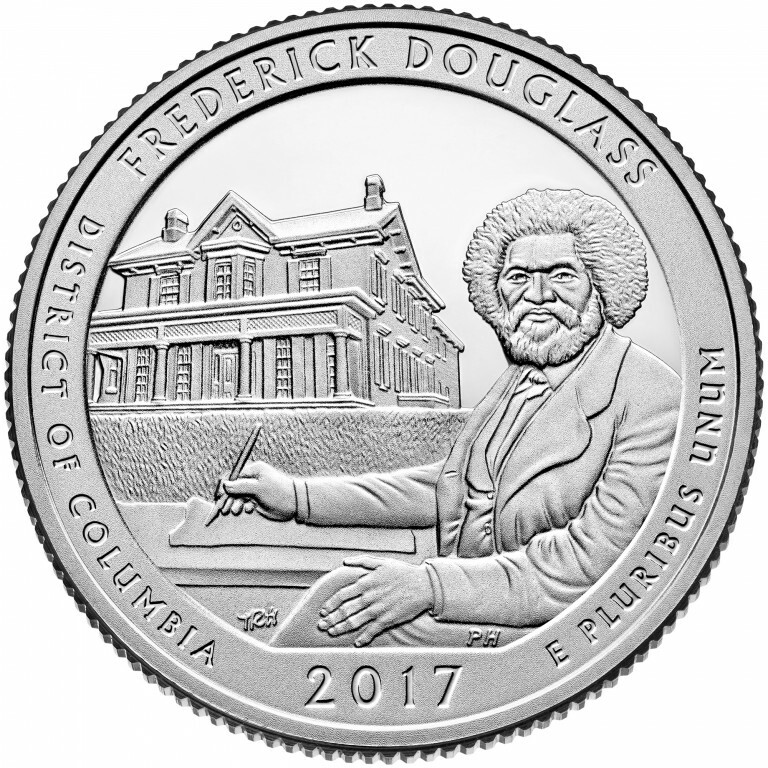 Frederick Douglass was born into slavery on a plantation on the Eastern Shore of Maryland in 1818. By fifteen, he was a literate, independent teenager who educated other slaves. In 1838, he disguised himself as a sailor and boarded a train to New York City, where he declared himself a free man. 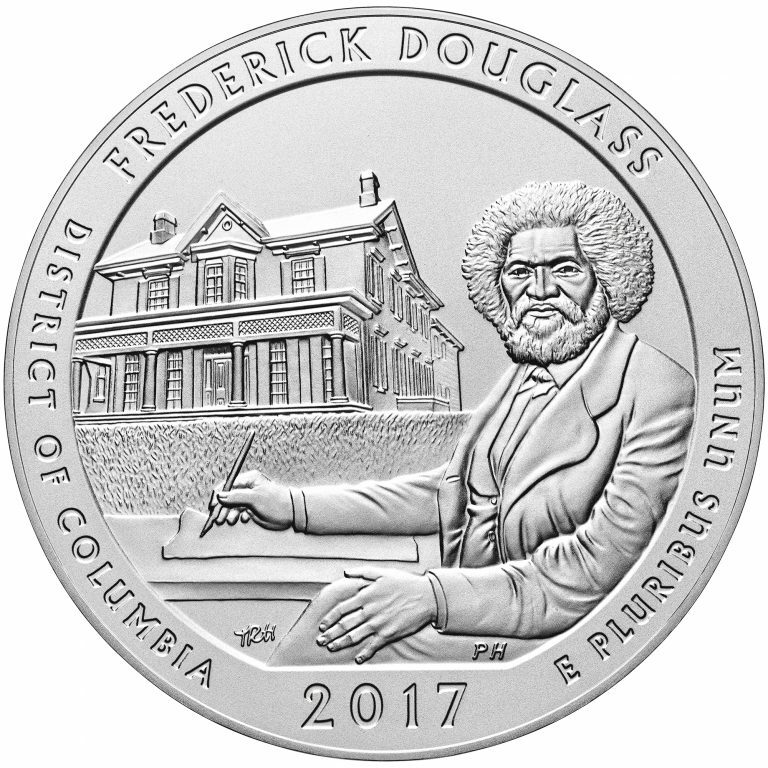 Douglass turned his efforts to helping those still enslaved. 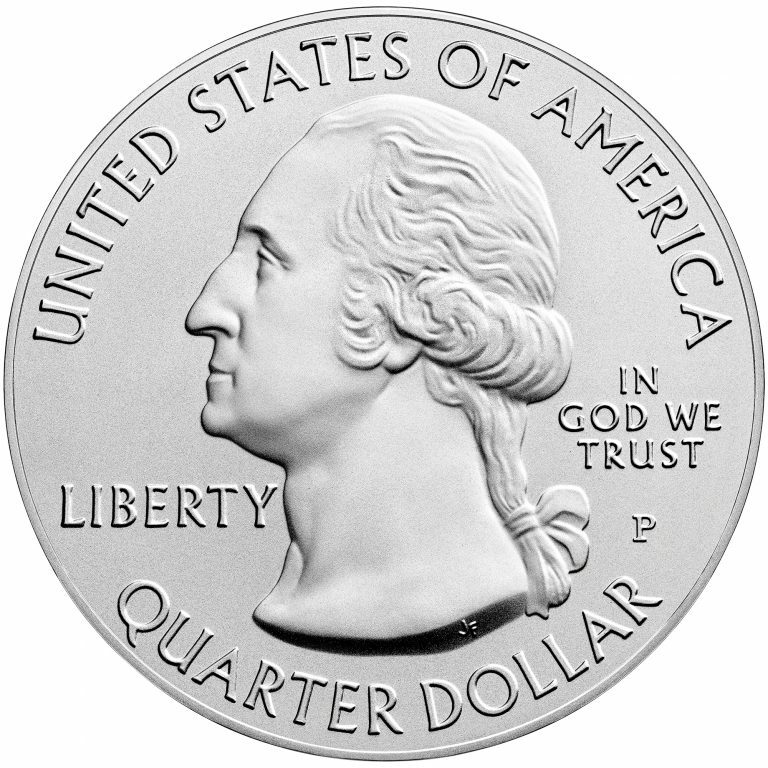 An impressive orator, he traveled across the North speaking against slavery. He wrote his first autobiography in which he revealed his original name, his owner’s names, and his birthplace. In danger of being returned to slavery as a result of this revelation, he fled to the British Isles where he continued to speak against slavery and ultimately, British supporters purchased his freedom. Douglass returned to the United States, and during the Civil War, recruited African Americans to fight in the Union Army. 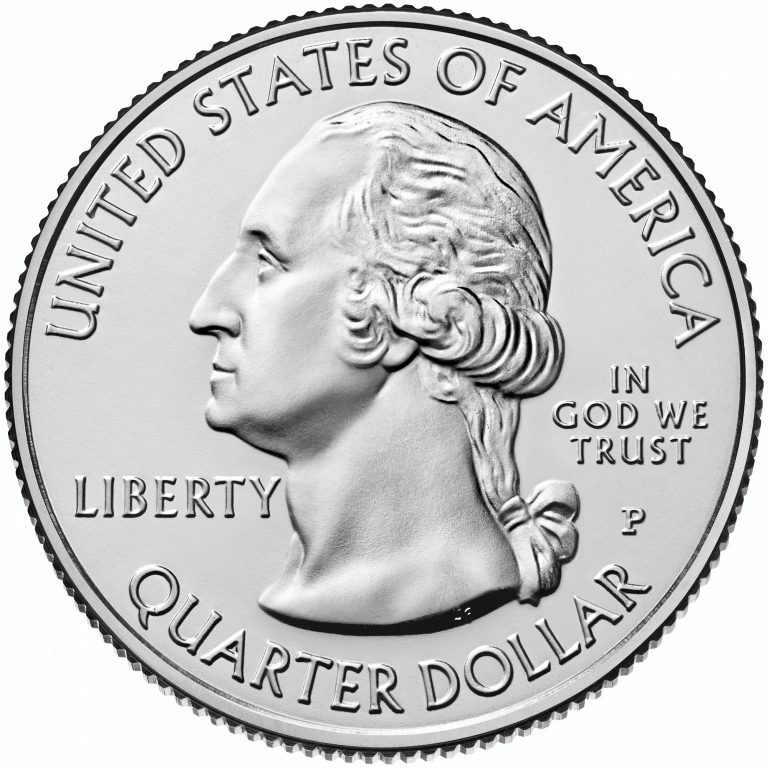 He continued to write and speak against slavery. He met with Abraham Lincoln to advocate for African American troops and encouraged Lincoln to see the war as a chance to transform the country. Following the Civil War, Douglass moved to his home in Washington, DC. 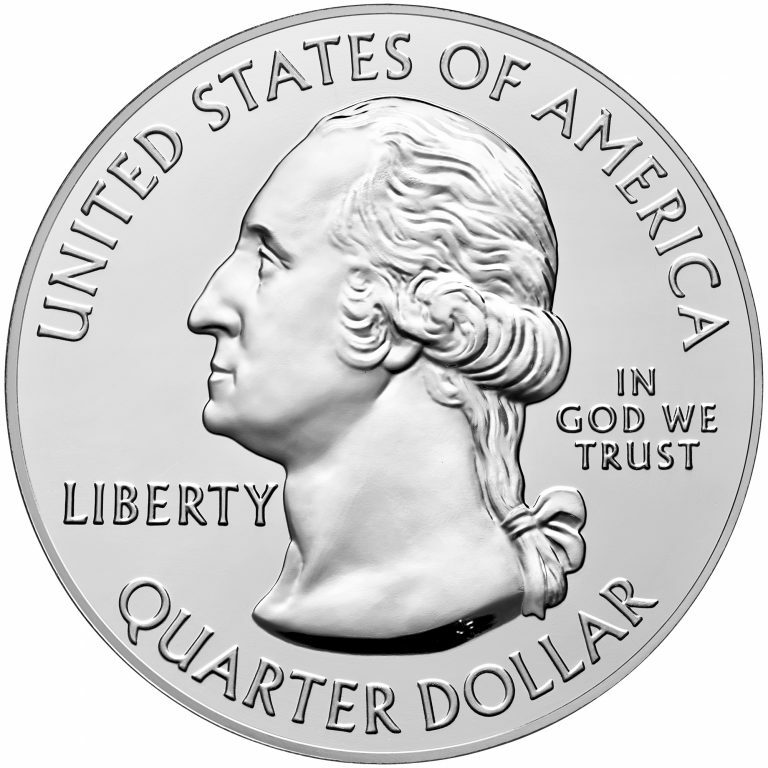 He served as the U.S. 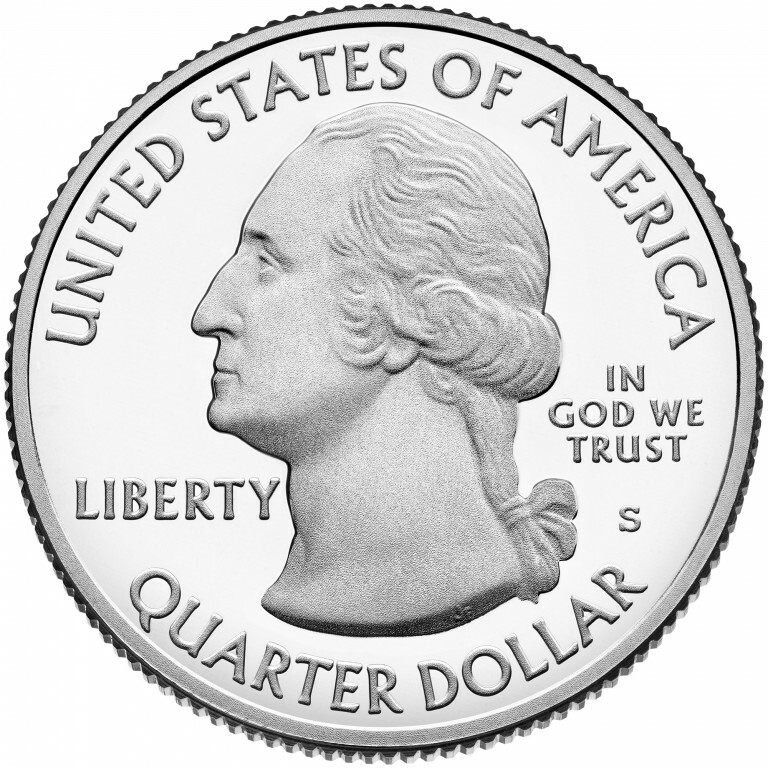 Marshal for the District of Columbia, the District’s Recorder of Deeds, and the U.S. Minister to Haiti and Chargé d ‘Affaires to the Dominican Republic. He continued to work to expand civil rights in the country until his death. 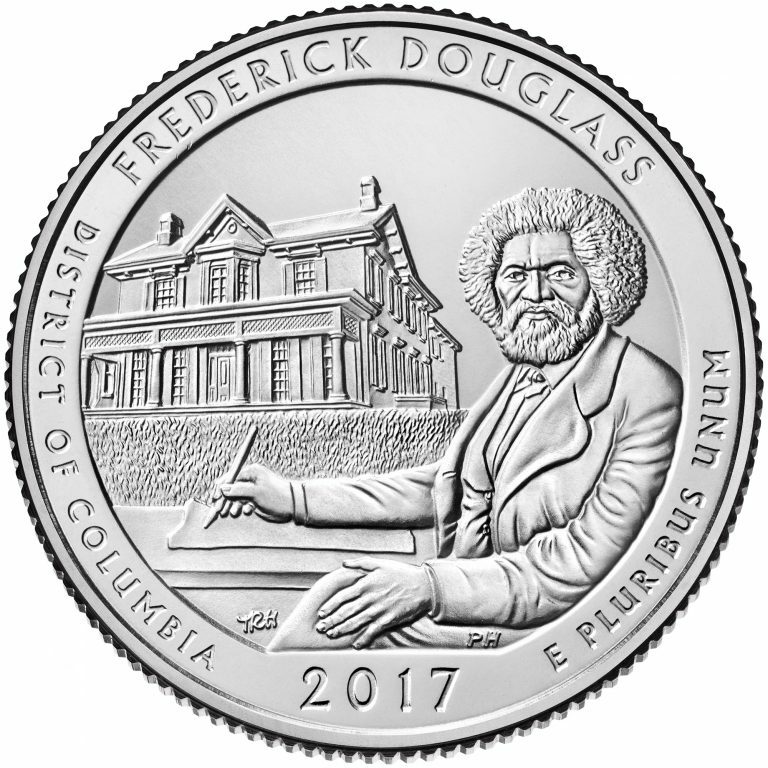 The coin design depicts Frederick Douglass seated at a writing desk with his home in Washington, D.C., in the background. 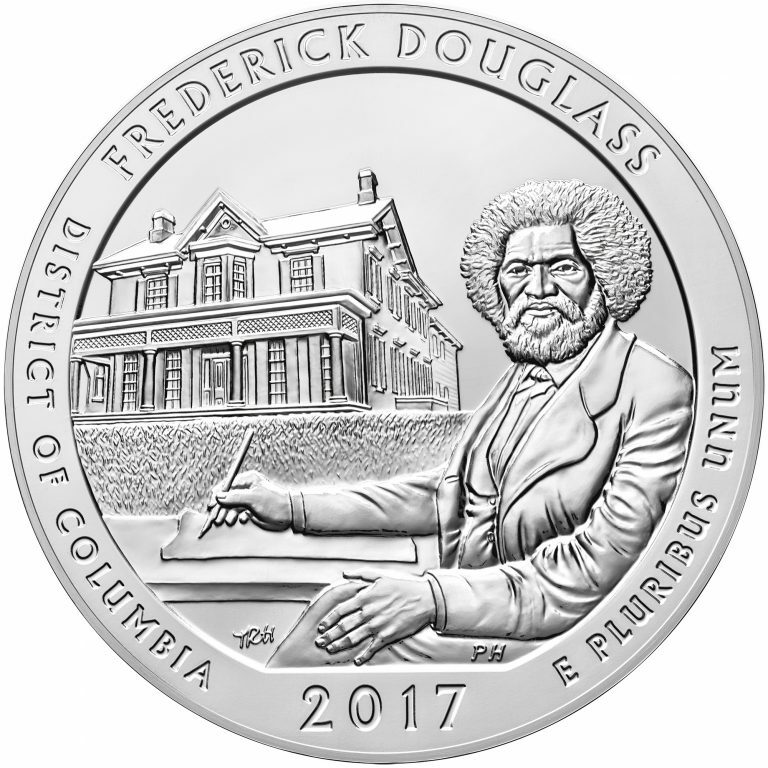 Design candidates were developed in consultation with representatives of the Frederick Douglass National Historic Site.